Updates to the platform include resource archiving and a new SCORM fair use policy. We’ve been working really hard to improve, refine, and build new features in Coassemble. 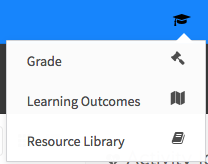 We've added resource archiving, which means you can now access all of your deleted resources. Click on the little archive icon next to the search bar to enter archive mode and restore your deleted resources. We've implemented a new SCORM Fair Usage Policy to track your usage of SCORM files exported from Coassemble. By doing this, we’ve opened up the ability for all Coassemble plans to host SCORM packages on as many domains as they like. Don’t worry, our usage policy is very reasonable. We’ve consolidated the header toolbar, combining all LMS-related links into one simple menu because we thought it was getting a little too busy. You can now upload and link directly to document files right from the WYSIWYG editor. We allow for all popular document types. Coassemble now ignores whitespace in answers on the Write Answer Checkpoint and Quiz question type. This should make it a little harder to get a question wrong by messing up the formatting. The 'Next Module' pop-up has been replaced on modules that complete automatically (e.g. documents and weblink modules) by a more discreet 'Next' button in the header. We now highlight the last edited Quiz question, so you’ll no longer forget where you were up to! We now warn users to prevent them from deleting Courses with active enrolments. When you sign up with your Google or Office365 accounts, you no longer need to add a username and password. We’ve improved the ‘All Users’ page so that it now loads users to the page on demand. Those campuses with thousands of users will really appreciate this! We’ve improved the UI for the ‘Drag the Ticks’ question type so that it’s more obvious to participants that the ticks need to be dragged. Subscription renewal dates went missing for a while; we’ve added them back to the payment page. If you have any questions on the updates above, have encountered a bug of some kind, or would like to see a specific feature added in our next release, contact us using the button at the bottom right of your screen!